Lingua Franca (proper name) was the language used in the Mediterranean basin in the Middle Ages and early Modern Age, mostly by traders. While the name makes it sound like a derivation from French, at the time all Westerners were called “franks.” That included Italians, who were the most successful traders and whose language became the foundation of the Lingua Franca. A generic lingua franca, then, has some characteristics of the Lingua Franca: it is used mostly for trade (and has a selective vocabulary that relates to it); it is based on a set of commonly spoken languages; it is streamlined for communication. A lingua franca can be a totally stand-alone language (like the Lingua Franca) or it can be a language spoken by a set of people (for instance, at the time of Jesus, Latin was the common language of the Western Mediterranean and Western Europe, Greek of the Eastern Mediterranean). While a lingua franca is generally used for specific purposes, the occasion can arise when one part of a population speaks one language, another a different one, and the languages end up blending together is some creative fashion. This is called a creole. Many commonly spoken languages are creoles, even some of the languages with the largest numbers of speakers. I lived in Hawaii for a while, where Hawaiian Pidgin is spoken by much of the local population. It’s a creole of English with a simplified grammar and lots of words that are typical of Hawaiian. You probably wouldn’t understand it if you heard it for the first time. After a while, you get used to the intonation and changes in pronunciation, and you can follow along just fine, only having to be puzzled by some odd word once in a while. Creoles in general and Hawaiian Pidgin in particular frequently have a bad reputation. They tend to be spoken by an underclass, while the upper class prefers the untainted language, usually because it is the language used by institutions in general. In Hawaii, for instance, English is the only language used in law, government, education, etc. – with Hawaiian making a resurgence in spots. There are enough different creoles around to find general traits among them. Each creole is based on usually one language, commonly that of the upper class. That language is called the lexifier. The lexifier is then modified more or less heavily, adapting it to the other languages (the substrates). Commonly, the phonology is changed (the available sounds in the language) towards the admixed languages, and the grammar simplified. The vocabulary also changes in various ways that are determined by the local usage of the lexifier and by the admixed languages. Da kine shows changes in phonology. Hawaiian does not know the sound “th,” nor does it have consonants next to each other (the horror!). That’s why the “th” in “the” became d, while the “d” in kind was simply dropped. “D”, incidentally, is not even a letter that is in the Hawaiian alphabet, so finding it in the expression is already a huge concession to Anglophile ears. To Hawaiians, most consonants save the seven in their language (H, W, P, L, M, N, K) sound like the last one, K – that is, harsh. You’ve heard that before: Mele Kalikimaka is, as the song goes, Hawaii’s way to say Merry Christmas to you. But neither mele nor kalikimaka are actual Hawaiian words (well, mele is but means “song”). They are simply what the words “merry” and “christmas” sound like to a Hawaiian. Christmas, in particular, is chopped as K-uh-ri-st-uh-ma-s-uh (where I use “uh” to denote an unvoiced vowel). Hawaiian, then, Ka-li-ki-ma-ka. The st and s in the word become k (the r becomes l). English-based creoles are plentiful. That’s particularly funny, because English is originally a creole, itself. When the Normans conquered Britain, in 1066, they continued speaking their native French while the populace continued speaking Anglish and Saxon and Viking and what not. After a while, a typical creolization process happened and we get Medieval English. Which sounds weird to us, but would have sounded even weirder to speakers of the original languages. Being originally a creole, English had a lot of the interesting changes that come with creolization. The first and most important was simplification of the grammar. Off with cases, done with genders in nouns, simplified conjugation of verbs. It was as if early English speakers were in dire need of jettisoning the grammatical features they used in their native language, maybe because the other side couldn’t figure them out. The resulting grammar is fascinatingly simpler than either French and Germanic grammars. In fact, it’s so simple, it is one of the reasons people still think English is easy to learn. With the simplification of the grammar came that of the pronunciation. Words became pronounced in a way compatible with the common idiom, which lost a lot of the complexities of the origin languages. The subtle nasal vowels in French, for instance, were crushed (much to my relief, nobody in France can tell what I am talking about when I use those). The typically Germanic distinction between long and short vowels, on the other hand, was mostly only kept for short, monosyllabic words (it explains why you can still tell the difference between kin and keen, or sin and seen). My favorite mashed up word is that of a weed, the dandelion. Maybe you didn’t know that it comes from French dent de lion, or lion’s tooth. Once the Normans were done conquering, something odd happened with Great Britain: it wasn’t invaded any longer. Not for lack of trying, of course: the French tried, the Spanish, the Vikings, even the Irish! None of them succeeded. So we have about a thousand years to look at what happens to a creole that is left alone, without rivaling language speaker groups to fight over it. What do you know, things got complicated. Not the grammar, that stayed simple because who needs that kind of grief, right? But the pronunciation became a major headache. Also, there was never any attempt at slaying the monster of a merged vocabulary, teeming with duplicate ways of saying that same thing, with only the most microscopic nuance. Nuance is something that gets lost when you have to talk with people that don’t speak your language natively. It’s something that is very useful, though, if everybody speaks the same. There is a different approach to the idea of a lingua franca or a creole. Instead of taking existing languages, why not invent a completely new one? Why would anyone do that, you say? because that way you can avoid having a different lingua franca for each group of languages. The Lingua Franca, for instance, was already splitting apart because speakers in the West used more vocabulary from Spanish and Southern French than from Italian and Arabic. For the longest time, the idea of a universal lingua franca was tied to an existing language. Greek had that prestige for a long time, thanks to Alexander the Great and his conquest of most of the civilized world. Latin came next and, thanks to its ties to Christianity, dominated the West (especially the sciences) well into the Modern Age. French came next, and now is the turn of English. At some point, people started looking at languages systematically and realized there were common structures in all of them. Why not create a new language that would be built from scratch to not have all the ugly exceptions and irregularities of natural languages? The first such language that attracted wide-spread support was Volapük. It was interesting and it tried to foster universal brotherhood. Sadly, it was and is pretty hard to learn, since the words are meant to be international, but it’s really hard to figure out where they come from. The name of the language itself, for instance, is made of vol- and puk. Vol, in turn, is English! And Puk is, too! Vol comes from “world” and puk from “speak”. So Volapük means “world speak” or “world language.” Of course, unless you already knew that, you would have never guessed. After Volapük, things got heated. A series of languages came up, until the juggernaut of constructed languages was launched in 1887, Esperanto. Esperanto was different (and more successful) for many reasons. First of all, it focused some on being recognizable. “World language,” for instance, is “monda lingvo” in Esperanto. Monda is from Latin “mundus” or French “monde” or Italian “mondo”, lingvo from Latin “lingua” or etc. It’s much easier to guess than the odd Volapük. In addition to that, Esperanto had a very charismatic and humble founder. L.L. Zamenhof, who was pragmatic, extroverted, and humble. While Schleyer, the inventor of Volapük, refused to allow the slightest change to his language, Zamenhof listened. In fact, the speakers had to tell him to slow down and not make changes that others were proposing, any longer. They thought Esperanto was just fine and all the new stuff was too much work for too little gain. After Esperanto, the idea of constructed languages continued to thrive. Hundreds of them were proposed. Some are merely one person’s dream, while others have active communities. Some try to be more logical, others more fanciful. Some, finally, are purpose-built, like Klingon or Eldarin, one of the many languages in Tolkien’s world. Volapük, Esperanto, and the gaggle of languages designed to be “ideal” bridge languages all suffer from a perception of failure. Their goal was to bridge the world, yet only few people speak them. Esperanto, in particular, has become sort of a laughing stock and is used as shorthand for the generic failure of utopia. The “real” Esperanto, people say, is English: the Internet has decided. Everybody speaks English! Of course, that would seem true to someone who speaks English. The entire Internet seems to be in this language and it’s hard to get to a place where English isn’t spoken. Sometimes you’ll find comments in Spanish, Chinese, Italian, German, etc. on a YouTube video, but they are simply from people that want to offend your sensibility and have their private chat. Fact is, many times in history has there been a language that seemed to be the invariable and eternal lingua franca. They always turned out to be eternal for the duration of their speakers’ power and influence: Greek was supplanted by Arabic, mostly, in the Middle East. Latin was simply slowly forgotten in favor of national languages, so much so that even as a speaker of Italian, I had to learn the father language of my own much like I’d learn Chinese. English is not propelled forward as international language by its merits as such. It is the language of a dominant set of economies and empires. If the empires fade and the economies shrink, it needs to stand up on its own legs and prove its worth as a bridge language. How well does it fare as such? English-based creoles are a good test of that, in that they show how English would change if spoken by non-English speakers. We can compare that to other creoles – French- and Spanish-based ones, for instance, since those two languages were also instruments of empire. I should mention, for fairness, that not all changes away from the lexifier in creoles are due to deficiencies of the lexifier. Some of them are simply to accommodate the rules of the contact languages. I already mentioned how the sounds are modified to suit the local speakers, avoiding sounds in the lexifier that aren’t present in the local language. The same is true for grammar and, even more, for particular constructs. As an example, English has “I like you” where Romance languages express the same as “you are of pleasure to me.” This is a particular construct in Latin, and a creole of English and Romance would have to pick which way to express that. What do English-based creoles generally do? First, they strongly modify spelling to get around one of the weirdest things about the language. The modifications can be small (as in Hawaiian Pidgin) or much larger (as in a different creole, this one spoken in New Guinea, Tok Pisin). Tok Pisin more than Hawaiian Pidgin doesn’t like that and re-introduces endings. The “-im” ending in “pogivim” above is a verb marker, which signals that the word is a transitive verb (and is based on English “him” – pogivim is short for “forgive him”), while the “-pela” ending is an adjective marker. In general, the loss of declination and conjugation in English is a plus (it removes a ton of variants in the words, so you have to learn fewer of them), but it ends up being tragically confusing at times. One example I particularly like is the phrase, “time flies like an arrow,” which is an adaptation of Latin “tempus fugit.” In it, it’s unclear whether “flies” is a verb or a plural noun, or “like” a copula or a verb. “Time flies like an arrow,” without further knowledge, may be a statement about the food preferences of a type of insect. Time flies like an arrow, but fruit flies like a banana. How does Esperanto stack up against English in a match-up of creolization? What would have happened if Esperanto had been the language used for Tok Pisin instead of English? That’s a good way to test its suitability as a bridge language, since the fewer changes it would have elicited, the more likely is it to work in that role. First, the spelling. Like most constructed languages, Esperanto is adamant about the rule “one letter = one sound.” Just looking at the word means you know how it should be pronounced. This goes down to stress: in Esperanto, every word is stressed on the syllable before the last. This includes words borrowed from languages where the stress goes somewhere else (which is frequently annoying to speakers of those languages). Second, some letters in the Esperanto alphabet are not easy to pronounce or easy to tell apart for speakers of different language backgrounds. A common example is the Esperanto letter Ĥ (an H with a hat on top), which is pronounced like Yiddish or German CH. That letter doesn’t exist in a lot of languages and their speakers find it very hard to pronounce. Other languages have a hard time with the distinction between L and R, or B and V (this last one being peculiar to Spanish). What about the grammar? Esperanto’s grammar is relatively simple and explicit. Every word except markers (prepositions, copulas, etc.) has an ending that spells out what part of speech it is. Nouns always end in -o (or its declined versions, -on, -oj, -ojn). Adjectives always in -a. Verbs conjugate, but their endings are always one of -i, -u, -is, -as, -os, -us. Adverbs end in -e.
The accusative case comes from the fact the object of an action has no other marker, like a preposition. English generally dispenses with cases and is perfectly happy making clear who does what to whom by position. “dogs love cats” means that the subject, dogs, act by loving the object, cats. In language terms, the structure is positional: if I change the positions of dogs and cats, the sentence would still be correct, but subject and object would be switched (and also probably a lie). Notice “whom.” English retained the accusative (which Germanic had, but French mostly doesn’t) in a few cases. Whom is such an example, another is “me,” the non-subject “I.” You can say “I love you,” but not “you love I.” So you have an instinctive idea of cases in English, too, only that English is slowly getting rid of “me” as well. In any case, it turns out that the accusative, as reductive as it is compared to the myriad cases in other Indoeuropean languages, is still a giant bother to a lot of Esperanto-speakers from different backgrounds. It is so frequently forgotten, especially by beginners, that correcting people’s erroneous use of the accusative is the main running joke of Esperanto. Both the komencanto (beginner) who constantly forgets the accusative and the verda papo (the know-it-all “green pope,” so named after the color of the movement) are targets of ridicule. In effect, there is no good reason to have any feature in a bridge language that isn’t present in a major language without problems. If the Slavic languages can do without articles, then the bridge language needs no articles. If all Romance languages and English survive without the accusative (or other cases), then the bridge language doesn’t need them. German can do without the distinction between adjectives and adverbs? No need for it, either! Now, don’t get me wrong: every one of these features expresses something meaningful. It’s not that the article in English is useless because Russian doesn’t need it. The accusative is meaningful, too, even though komencantoj forget where it’s needed. The distinction between adjective and adverb is sometimes necessary and carries meaning. The question is whether that meaning can be conveyed in a manner that is easier to get correctly. I’ll give you an example: English uses the definite article slightly differently than Romance languages. For instance, it isn’t used before possesive pronouns: “my dog,” not “the my dog.” That is an exception from the general rule that the definite article marks those nouns that are, well, definite. It is an exception, since we can verify that the definite article is used in some Romance languages: “il mio cane” in Italian. Spanish and French don’t have it. Catalan, which is somewhere between French and Spanish, does. Is the definite article useful in the case above? No, it is definitely not. It does imply something, namely that there is only one dog that you are lucky enough to call yours. “My dog” doesn’t necessarily have that implication, as the similar construct “my friend” shows. “My friend” doesn’t imply there is only one friend in the same way that “il mio amico” would. Notice, though, how features that are easily predictable and memorized tend to stay, even when a major language doesn’t use them. Hawaiian Pidgin, for instance, goes with Hawaiian in that it marks verbs with a tense word instead of conjugating like English. “I wen eat” literally means “I ate” and the “wen” is just a past tense marker. This is because English conjugation is hard: you have to remember that the past tense of “eat” is “ate.” Generally, people have no problem using the tense markers in Esperanto, because they are relatively easy to remember. The vowel “i” marks the past, “a” the present, “o” the future. That is predictable, easy, and doesn’t cause mistakes. What does that mean for Esperanto-based creoles? That they would probably drop those features of the language that are most likely to cause errors. Because of the nature of a bridge language, those errors would be correlated with the major languages. Features would eventually be dropped because of lack of familiarity with it in a major language, not because of inherent complexity. The Major Language Rule then predicts that the Esperanto-based creole that would function as the actual bridge language of the world would forget about all the language features that are not present in a major language. The accusative would be dropped, the concordance between adjectives and nouns would be gone (English doesn’t have it – “loud dog” doesn’t become “louds dogs”), the distinction between adverb and adjective. The vocabulary would also change. Some of it would be a reduction in imports: right now, the word “common” can be translated (depending on context) as “komuna,” “ordinara,” or “ofta.” Those three words all have cognates in English: “common,” “ordinary,” and “often.” While that’s not a problem for English speakers, there is really no reason to have three totally different words for such similar meanings. I guess a lot of that will be reduction. English is a tragically bad international language. The spelling is confusing, the sentence structure frequently ambiguous, and the pronunciation difficult and peculiar. Exception abound, idiomatic expressions are often unintelligible. An English-based creole generally abandons much of that and turns into a language that is unintelligible to English-speakers. An English-based creole would be a solution, but each creole has a different strategy on how to overcome these deficiencies. The strategy is largely dependent on the language pair and on the degree to which the speakers of the creole are still surrounded by non-speakers. Hawaiian Pidgin, for instance, spells things closer to English and uses sounds that are not present in the contact language because English surrounds it completely. Tok Pisin, on the other hand, is much more free to change as it pleases and has amassed both radical changes in spelling and vocabulary compared to the lexifier, because English is not that common in New Guinea. How would Esperanto fare if creolized? We can’t really know, because Esperanto is not the lexifier of any creole. We can guess pretty well, though. A number of the constructed languages of the 20th century have been specifically designed as reform movement of Esperanto. Most of them attempted to be “easier to learn” or “more international,” which usually meant that they picked whatever features of the language the inventor(s) disliked and replaced them with something different. It is of note that these changes generally were made towards the native language of the inventor(s), so that they are, in effect, creolizations. The first and probably most important reform movement was Ido. Ido is so close to Esperanto, the name itself is an Esperanto (and Ido) word. It means, “offspring.” You wonder why Esperanto would have such an odd word for offspring? Think dynasties and biology: the dynasty created by Seleucus were the Seleucids, the one started by Abbas were the Abassids. The meteor showers that follow Orion are called the Orionids, the ones with Perseus the Persids. If a dog is canis lupus, the dog family in biology is called the canids. Same for felids, ursids, lamnids, even hominids. So Esperanto has -id as generic ending for everything that is offspring. According to the wise rules of Esperanto, the common ending can be used stand-alone and has the meaning of all of the offsprings, or offspring in general. Ido was really close to Esperanto. 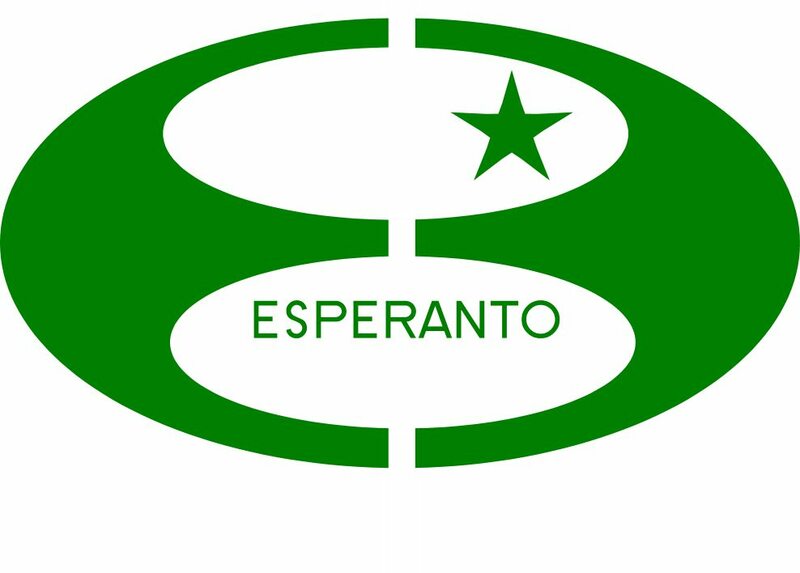 In fact, it was so close, the founder of Esperanto decided to accept the changes and make them into the new Esperanto. It was a vote against the “reform” that changed all that, and the creator of the reform left in a huff. Intrigue followed, a split, and the rapid demise of Ido quickly thereafter. Ido was mostly pushed by speakers of French and other Romance languages, and that’s quite visible. It is a very neat creole, with all the issues that Romance speakers have with Esperanto addressed. The accusative, the only case in Esperanto, doesn’t exist in French. It was made optional in Ido. French doesn’t have a general antonymic modifier for words (like Greek a- or English un-), and speaker of Romance languages dislike the Esperanto prefix “mal-,” since that sounds like their word for evil. So Ido has no general modifier and adds words to make up for the lack of the prefix. Instead of Esperanto mallonga (unlong or short), it has kurta. We can easily dismiss the changes that moved Esperanto towards Romance languages, and there were a great many. Some of the changes, though, indicate something entirely different. For instance, Esperanto is a sexist language and treats men and women differently. In general, the neutral form of a word is the masculine, while the feminine form is generated by adding a modifier, a suffix. While patro means, “father,” the word for “mother” is derived from this with the suffix -in: patrino. This is very odd in general. It becomes particularly weird when looking at nouns for objects that are generally ungendered, like animals. A cat is a kato. A female cat, then is obviously a katino. But what if we want to specify a male cat? Esperanto has no suffix for that, so it uses the word for “man,” viro, as a sort of prefix. A tomcat then is a virkato. Ido does away with that. It has a suffix for male (-ul) and female (-in) and it makes an exception for the words of parents. It has separate roots for mother, father, and parent. Ido does love exceptions, unlike Esperanto, and those exceptions are without fail to make it sounds more appealing and pleasing to speakers of Romance languages. Definitely an issue for a general bridge language. Another thing Ido attempts is to make things sound less confusing. Esperanto has all the pronouns end in -i. “I” is mi, “you” is vi, “he” is hi, “she” is ŝi, and there are ĝi, ni, ili. I will admit that sounds all very similar, although in practice that rarely causes confusion. It does highlight, though, that this is something Esperanto didn’t spend much time thinking about. Another area that is a frequent stumbling block are the correlatives. They are a fantastic idea to simplify the number of words one has to learn, but their structure and ending is mostly arbitrary, making them hard to remember for learners. Imagine all the world would use Esperanto. What mistakes would people make? People with a Romance language background (and English) would stumble upon the accusative; speakers of Slavic languages on the article; speakers of Germanic languages on word order in subjunctive clauses; speakers of Polynesian languages on the many different consonants. Each of these speakers would slowly push the language towards a common ground where nobody is making mistakes, because the mistakes are part of the language. Sometimes what is a problem for one language group is a mandatory feature for another. In that case, it’s hard to find a compromise. But it’s actually really interesting to see Esperanto beginners use the language with all the faults they have and still be understood. In fact, in my mind, if you can understand a sentence despite a mistake in grammar, it’s not really a mistake and the grammatical feature useless. One interesting fact is that complication causes mistakes, but simplification doesn’t. Taking away the bizarre capitalization rules of German in Esperanto doesn’t hurt understanding, even for German-speakers. Getting rid of the article requires some extra finesse when you want to be specific, but aside from a hiccup at the missed article, there is no issue with understanding. I find that fascinating. Speaking 3 languages at near-native or native level, I can safely say that every single language feature has ardent defenders that make it sound like the language is going to fall apart without it. Knowing that other languages survive just fine without it doesn’t seem to phase such defenders. In fact, their argument sounds a lot like that of a dude that has to justify to his wife why he absolutely needs to keep his Star Wars light saber. I am all in favor of accelerating the process of creolizing Esperanto with the main languages of the world: get rid of archaisms and unnecessary grammatical features, make different meanings differ more markedly, eliminate similar words, and adapt an alphabet where, if not everyone can pronounce every word, there are at least as few confusing words (bero and vero) as possible.